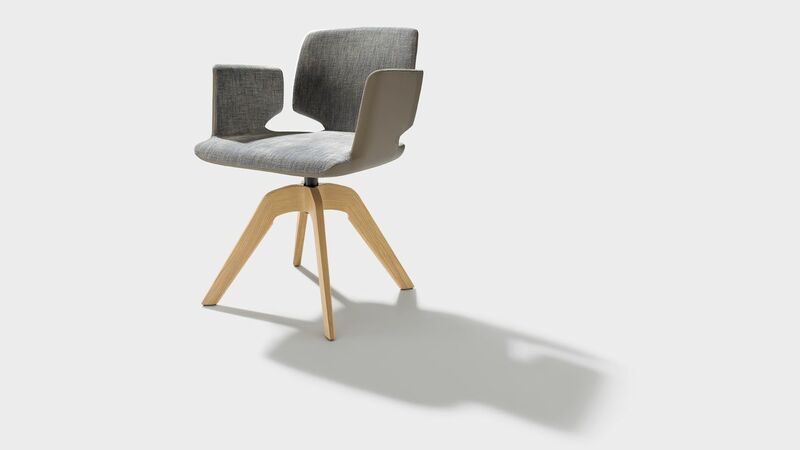 It’s all about comfort: Our aye chair offers enormous comfort as a swivel chair as well. 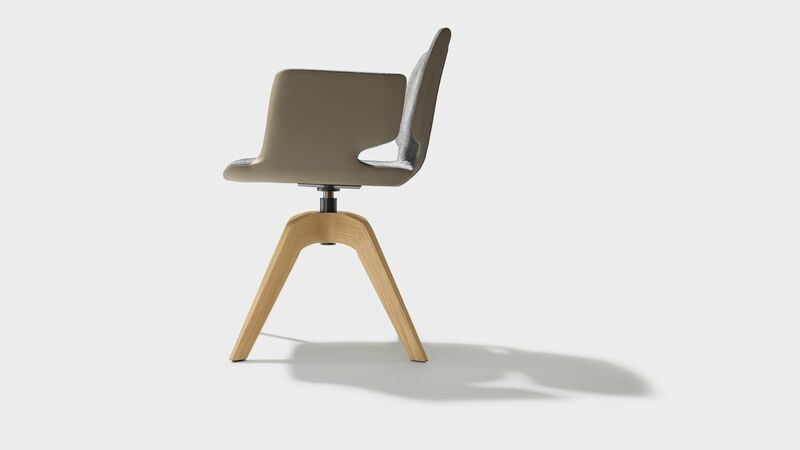 Thanks to the special swivel and shock-absorbing mechanics, the chair gently rebounds when you sit down and automatically moves forward again when you stand up. 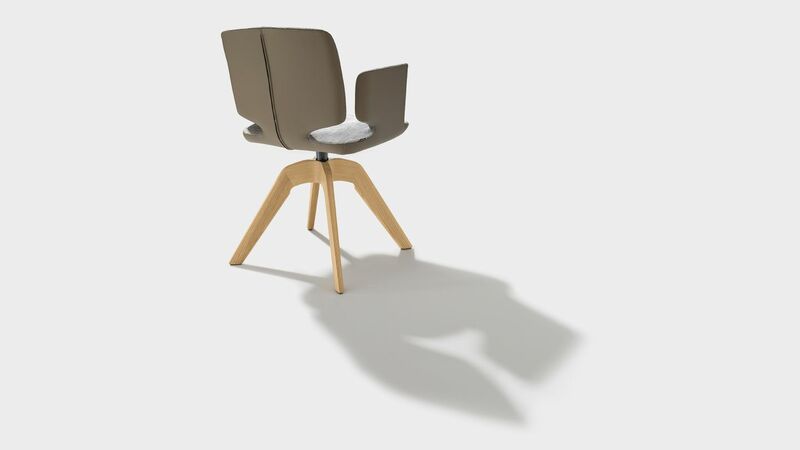 The seat shell cups your body like a hand, and the comfort of the upholstery ensures many pleasant hours at the table. Your comfort is also ensured by the flexible backrest, ergonomic armrests and the comfortable, buoyant seat. aye uses the “Y” design shape in the flare of its four-leg wooden frame and it therefore fits perfectly with the yps table and bench ensemble. Seating comfort has many faces. A good hand for everything. 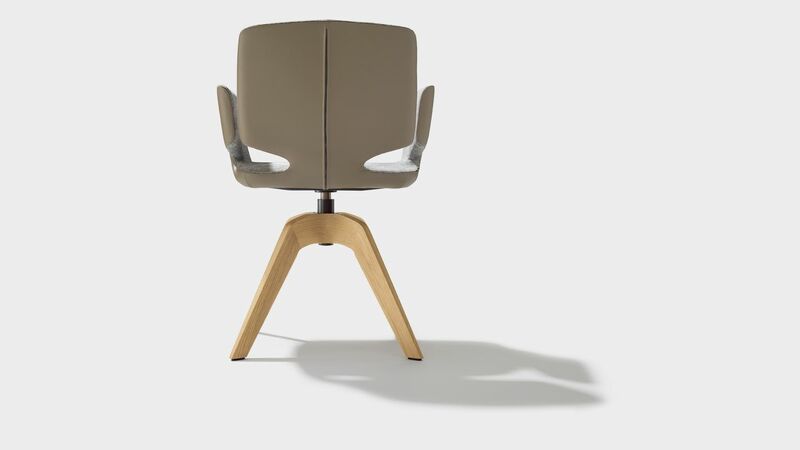 The unique quality of the woodwork at TEAM 7 is obvious in the aye swivel chair when you see the precision of the node connection to the legs. And our choices of leather and fabric covers are proof that we also have the right touch for leather and fabric.